The saga of the Old Shoe Tree—the big cottonwood on U.S. 50 near Middlegate that’s filled with hanging shoes—refuses to die. It lives on despite the fact a vandal cut down the original shoe tree a few years ago. In response to that terrible deed, Middlegaters and other fans of the shoe tree designated another cottonwood down the road as the inheritor of the legend and a new shoe tree was born. Drivers on U.S. 50—celebrating its 30th anniversary as the Loneliest Road in America in 2016—pass by the tree and see hundreds of pairs of sneakers, boots, oxfords and other footwear hanging from the tree’s limbs by their strings. 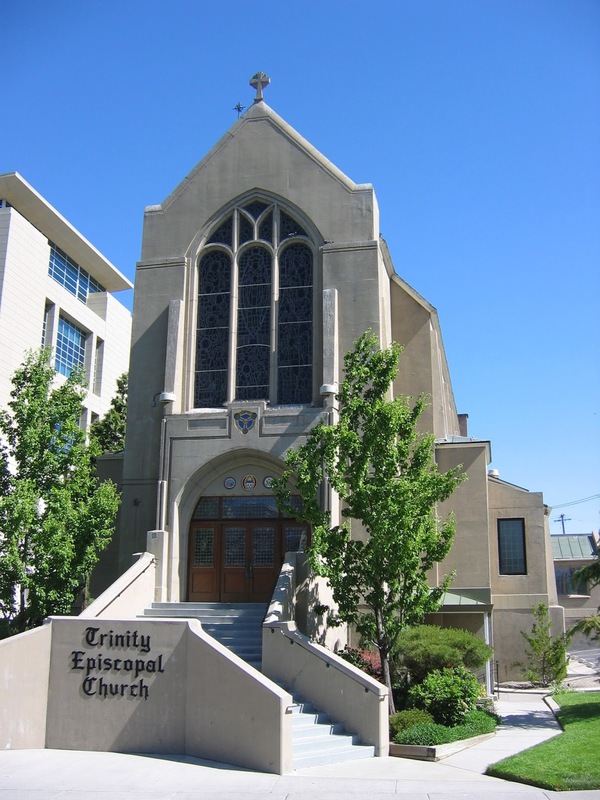 While there are a number of variations on the legend of the shoe tree, the basic story, according to Fredda Stevenson, co-owner of the Middlegate Station bar and grill, is that sometime in the early 1990s a young couple from Oregon had traveled to Reno to get married. They decided to spend their honeymoon camping along U.S. 50 and stopped under the original shoe tree. In an interview several years ago with an Associated Press reporter, Stevenson explained: “They camped by the tree. They had their first big fight. The girl threatened to walk to Oregon. He took her shoes, tied the laces in a knot and threw them up in the tree. She said the man took her advice, the couple made up and drove away. A year later they stopped by to show off their first child, whose first pair of shoes were tossed into the tree. Over time, others saw the shoes in the cottonwood, which was about 70 feet tall, and began tossing their own footwear into its branches. Over the years, the tree became a local landmark. It wasn’t uncommon to see cars with out-of-state license plates pull over to the side of the road so the occupants could snap a few photos of the unusual sight of a tree brimming with hanging footwear. In December 2010, however, vandals chopped down the original tree with a chainsaw. The demise of the local icon generated national media attention and in February 2011 a memorial for the tree was even held. “It was like a good friend had just died,” Stevenson told the Los Angeles Times. She said she began to cry when she first heard the news about the tree’s demise. But that’s not the end of the story. A few months after the original shoe tree was cut down, a second cottonwood located about 10 to 20 yards away from the site of the original began to fill up with shoes. The legend lives on. Good. One of the sad realities of Nevada’s mining past is that in many instances, the perpetuation of a fraud was at the heart of a mining boom. Such was the case with the mining camp of Broken Hills, the site of which is located about 27 miles north of Gabbs via State Route 361 and a dirt road. Broken Hills was established in 1913 by two English prospectors, Joseph Arthur and James Stratford, who discovered modest amounts gold in the area. The two worked the claim for about six years, pulling a reported $68,000 of gold from the ground. In 1920, the pair sold their claim to George Graham Rice, who would later become known as the “Jackal of Wall Street” because of his stock manipulation schemes and frauds. Rice, whose real name was Jacob Herzig, was born to a financially successful family in New York in 1870. After stealing money from his family’s business, he was sent to reform school, where he befriended an elderly convict named Willie Graham Rice (and later appropriated part of his name). Rice soon found success as a racehorse tipster, helping to fix races, and, after serving time in jail in New York, headed out to Nevada, where he became extremely successful promoting worthless mining stocks. 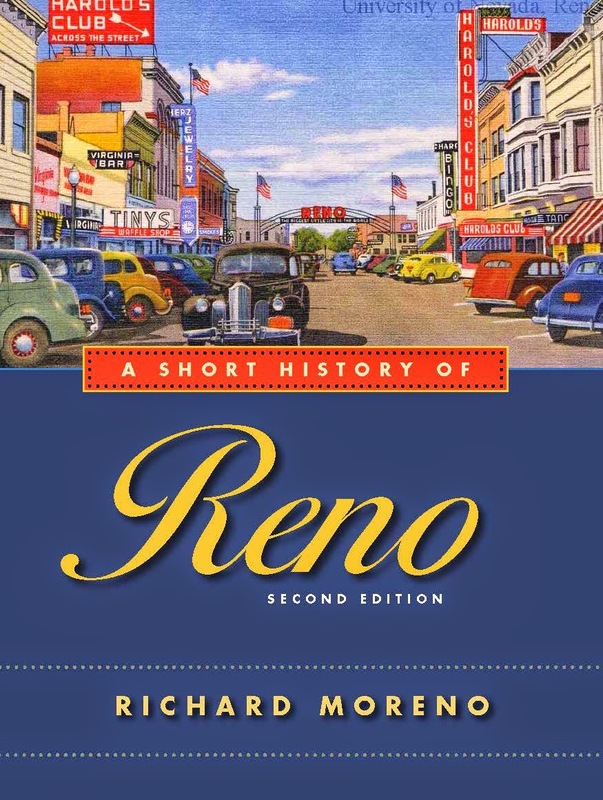 Using a Reno-based company he called the Fidelity Finance & Funding Company, Rice began aggressively promoting Broken Hills and selling stock in the mine. Rice formed the Broken Hills Silver Corporation, with a stated capitalization of 3 million shares, and named Ed Malley, Nevada’s state treasurer, along with Gilbert C. Ross, Nevada’s state bank examiner, and other prominent businessmen to the company’s board of directors. Perhaps not surprising, Malley later became embroiled in one of the largest political and financial scandals in state history. He, along with State Controller George Cole, embezzled more than a half-million dollars from the state treasury in the 1920s. They took the funds and invested in mining and oil company stocks, saying they intended to return the money when they struck it rich. Unfortunately, the investments went bust and the two lost everything. In 1927, both were convicted of diverting state funds for their own use and went on to serve four years in prison. Additionally, about a month later, Rice’s associates submitted a bid to host a fight between Jack Dempsey and Georges Carpentier, the European champion. According to news accounts, a syndicate from Broken Hills offered a guarantee of $800,000 to secure the fight for Broken Hills. According to the Mines Register of 1922, by April of 1921 Rice had sold about $161,900 in stock and invested some $80,000 in developing the community. 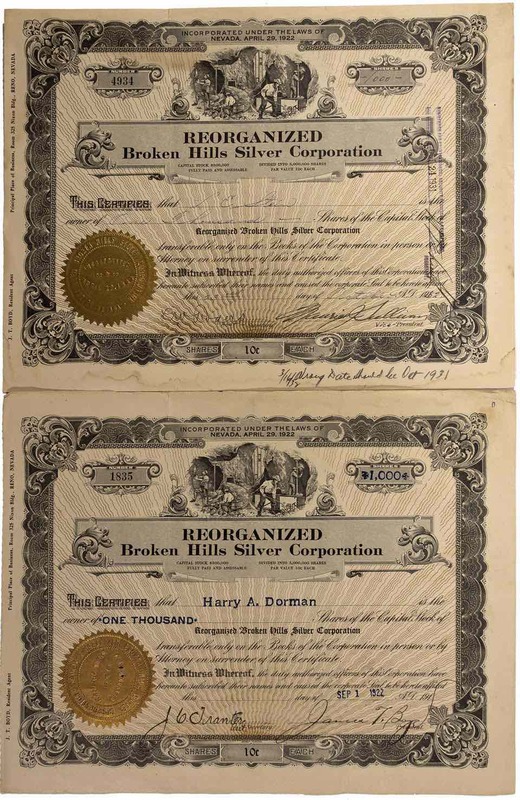 But since the Broken Hills Silver Corporation owed $380,000 to Rice’s Fidelity Finance for the mining property, the company was unable to meet its debt obligations and soon folded. Stockholders, however, launched an investigation of Rice, who, eventually, was convicted of fraud. In 1929, he was once again sent to jail, serving four years, where he shared a cell with Al Capone. While a headframe and some other buildings, including a one-room schoolhouse, were constructed at Broken Hills, the community didn’t really ever amount to much. The last residents moved away by the mid-1950s. Today, the metal headframe remains as does an old grave (a wooden board is inscribed with the name “Matt Costello”) and some assorted pieces of wood and cans but not much else. An excellent book about Rice is “My Adventures with Your Money: George Graham Rice and the Golden Age of the Con Artist,” by T.D. Thornton, published in 2015.